You are here: Home › Stayfitcentral Health & Fitness Blog › Health & Fitness Blog › Ask The Experts › Is Creatine Safe? Get The Facts Here. Below are six myths about creatine. Is creatine safe? If you’re a healthy guy or girl and taking it as recommended than yes, creatine monohydrate as recommended is safe. Very safe actually. With several hundred studies published to date, there are no reports that creatine monohydrate isn’t safe for us to use. In fact, the opposite is actually true. As you’ll learn in this article, this all natural supplement always seems to end up being good for us, even in the studies where scientists tested to see if it’s potentially harmful. This article covers every potential health or safety concern about creatine (cramps, injuries, kidney function, etc.) and reveals what the latest research has to say. If there’s a myth regarding it’s safety, this article covers it and reveals the facts. After reading you will know all the important details. As with any nutritional supplement, speak to your doctor before taking creatine. While we cover all of the research, the best way to ensure it’s absolutely safe for you is to check with them first. 1. Does Creatine Causes Muscle Cramps? Studies show creatine does not cause cramps. 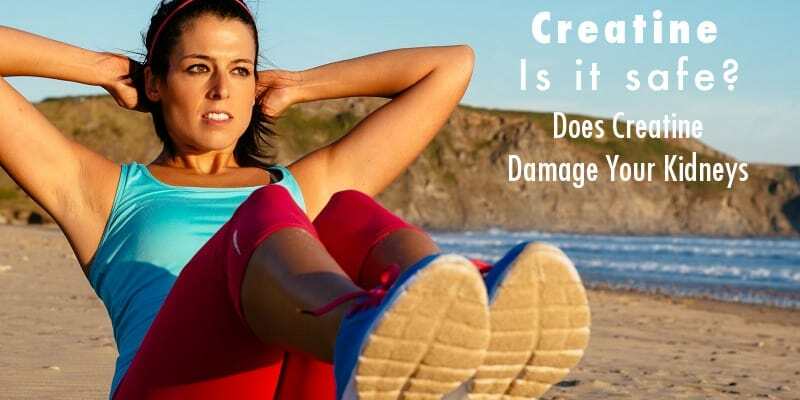 The claim that taking creatine will cause you to have painful muscle cramps when you exercise is probably the biggest safety fear on this supplement. I think that one of the reasons for this particular belief is that no one really knows what causes muscle cramps during exercise. Blaming a supplement like creatine is an easy thing to do. Fortunately research exists that reveals whether there’s anything to worry about. According to the most recent science, there’s no increased risk of muscle cramps from taking creatine monohydrate. One study performed with Division I football players measured the incidence of muscle cramps and strains while taking creatine or a placebo supplement for a 3 year period. The results find that the subjects taking creatine were not treated for more cramps, muscle strains, or related injuries. This is over a 3 year period. It actually gets better. The hard training football players in this study using creatine actually had fewer incidences of cramps and injuries. They also missed fewer practices and games. Several other published studies supports these findings. Even when the subjects exercised very hard in hot conditions. So, as you see there’s no scientific truth to the claim that taking creatine will increase the risk of muscle cramps when you train. Better yet, the opposite seems to be the case. Taking it may decrease your risk of getting a painful cramps and being injured. 2. Is Creatine Safe Or Does It Cause Dehydration? Another health and safety myth is that creatine supplements will negatively affect how well you handle exercising in the heat. Many ‘experts’ claim that it increases your risk of injury and even leads to heat exhaustion. While these are valid concerns. No one wants to become dehydrated when they’re training hard, especially when it’s hot. Let’s see what the science has to say. Just like with cramping, taking creatine monohydrate actually improves your ability to perform. Even in really, very high temperatures. 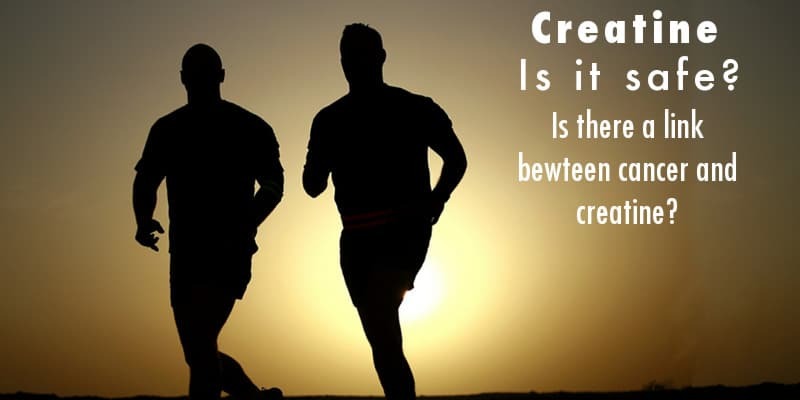 In a study performed with athletes training intensely (sprints on a bike) in 97 degree Fahrenheit temperatures, those taking creatine performed better. It actually improved their results. They were able to ride at a higher intensity, longer. As in other studies, the athletes taking creatine also did not suffer from cramps, strains, or injuries. 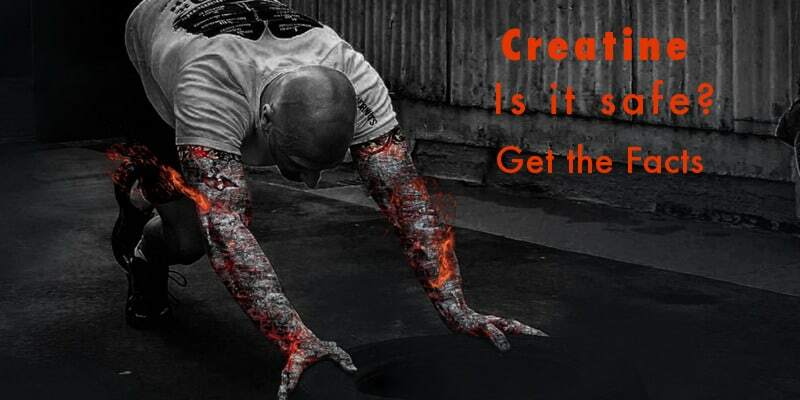 So, if you train in the heat, creatine can help you work out harder, longer. 3. Is Creatine Safe Or Is There A Link Between Creatine And Cancer? There is a longstanding theory held by some in the scientific community that taking creatine increases your risk of developing cancer. It’s thought that the mechanism for this is that supplemental creatine increases the production of mutagens (cancer causing agents) called heterocyclic amines. You may have heard of them in the news. Heterocyclic amines are also found in fried and grilled foods. A study performed in 2015 finds that taking creatine monohydrate for short (1 day) and longer (30 day) periods of time doesn’t create these potentially harmful amines to be made. The types of foods we eat, is apparently how we get these nasty heterocyclic amines into our body. This can be minimized by avoiding overcooking meats and limiting the amount of fried food in your diet. 4. Is Creatine Safe Or Does Taking It Damage Your Kidneys? One of the most common claims is that taking creatine will damage your kidneys. Reminds me of what people say about eating ‘too much’ protein. Let’s see if it’s true in this case. It’s true that your kidneys filter out creatinine, a waste product, and that levels of it can increase somewhat when you take creatine monohydrate. The thing is, they don’t increase these levels to an amount that suggests your kidneys are at an increased risk. Several studies on healthy guys and girls taking creatine and exercising intensely, many of them collegiate or professional athletes find that it does not cause negative changes in tests used to measure the health of your kidneys. These tests included blood work and taking the subjects blood pressure. There’s even research which finds that people with kidney problems, that require dialysis, can actually benefit from taking creatine. It appears to help them experience fewer muscle cramps, a common problem for people who need this therapy to live. As always, speak to your doctor before you begin taking it. Depending on your health they may want to do some tests just to be safe. 5. 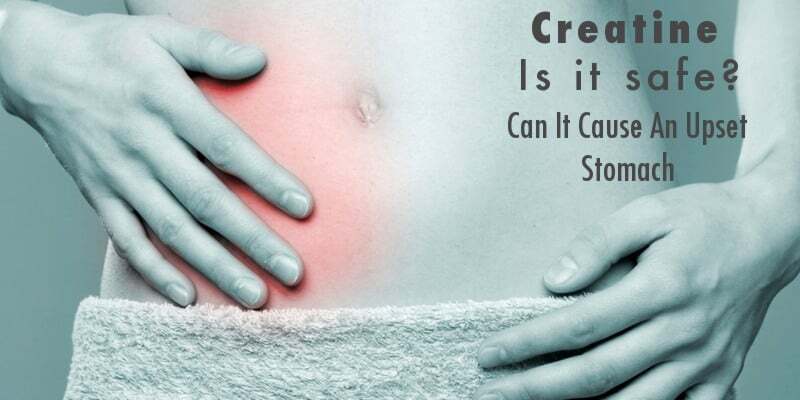 Is Creatine Safe Or Can It Cause An Upset Stomach? Creatine doesn’t cause an upset stomach. Another thing this supplement gets a bad rap for is an upset stomach. Read through any online message boards about creatine and you’ll find people writing about it causing them to feel sick to their stomach. While I cannot say this never happens in anyone, there’s no findings in the hundreds of studies performed using creatine monohydrate that show this has happened. This makes it pretty unlikely it will happen to us. If for some reason you do feel a little nauseous after taking creatine, try taking it with food or adding it to a protein shake or smoothie. Not drinking your creatine in one gulp may also help. 6. Is Creatine Safe Or Can It Affect Your Cholesterol? Studies show that creatine does not increase cholesterol levels. Cholesterol is the fat that people fear. Cholesterol is used for making hormones that keep our bodies working. We’ve been taught to fear having levels that are too high for risk of a heart attack or stroke. Given this fear, it was only a matter of time before someone claimed creatine makes your cholesterol levels skyrocket too. Fortunately, this is something else that has been studied multiple times. A review of these studies finds that creatine monohydrate supplementation does not increase the amount of total cholesterol or other blood lipids (triglycerides, LDL, HDL, etc.) in our body. In fact, there is some data showing that it may improve levels of these fats in your blood. Once again, creatine shows it may be of benefit, to cholesterol, that was originally believed to harm. Now that you know creatine is safe for healthy guys and girls, it’s time to learn how to get the most from every serving. Listed below are a few tips. I’ve also included links to several articles for additional information and help. Only Take Creatine Monohydrate Made In The U.S.A. The only way to ensure that you’re minimizing your risks, and maximizing the potential for great results is to use a product that contains creatine monohydrate made and tested for purity in the United States. 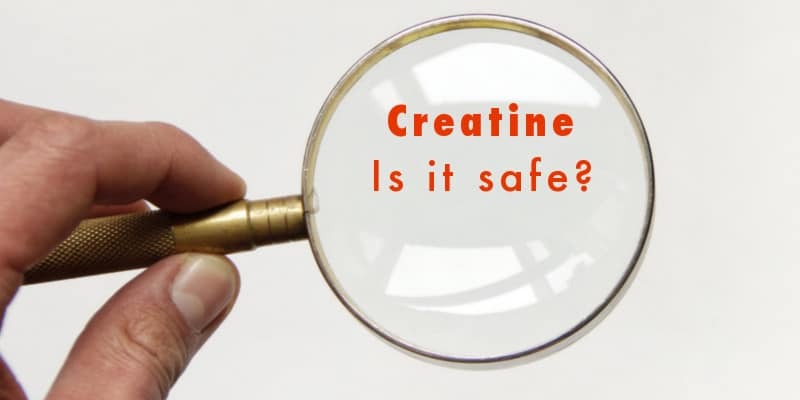 While there are many types (creatine HCL, creatine ethyl ester, liquid creatine, creatine nitrate) the only one shown to be safe AND work is creatine monohydrate. No other form has ever been shown to work in a controlled, research study. In fact, the opposite is true. The other types available are shown to not work and sometimes not even contain any creatine. Our favorite creatine supplement is Nutrakey Creatine Monohydrate. It’s made in the United States and tested for purity before and after packaging. One canister will last at least 3 months, making it an awesome value. This goes without saying but is still worth mentioning. 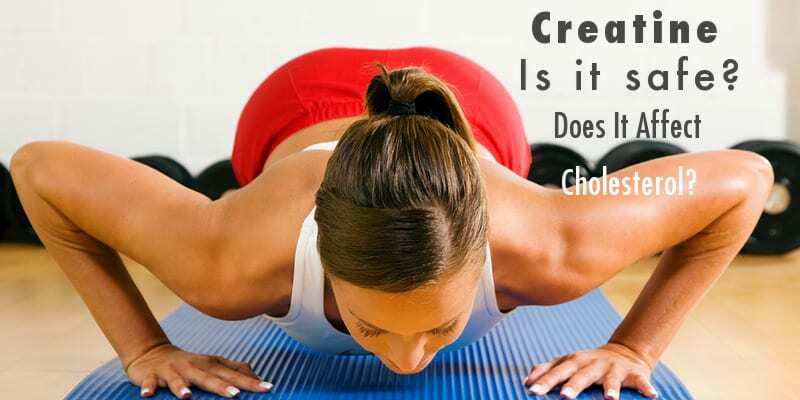 When supplementing with creatine make sure you do it the way shown to be effective in hundreds of studies and by millions of people like you. It’s simple, convenient, and pretty much guaranteed to work. When you take Creatine it’s important to quickly fill your muscles first. This enables the creatine to get to work right away so you see results fast. It takes as little as 5 days to fill your muscles. The best way to load your muscles is by taking 20 grams a day in 2-4 divided doses for 7 days. This is what is called the loading phase. You can read more about it in this article. On the 8th day you’ll start on the maintenance phase. This means you only need to take enough to keep your muscles filled up with energy boosting, muscle building creatine. At this time you can cut back to a single 5 gram serving every day. Continue taking it this way for as long as you want to receive the benefits. Studies show that healthy athletes of all ages take it for years without experiencing any negative side effects. 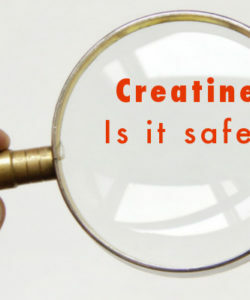 Now you know the facts with regards to the safety of supplementing with creatine monohydrate. Make sure you bookmark this page. We’ll update it with the latest research as it becomes available to us! Chang CT1, Wu CH, Yang CW, Huang JY, Wu MS. Creatine monohydrate treatment alleviates muscle cramps associated with haemodialysis. Nephrol Dial Transplant. 2002 Nov;17(11):1978-81. Hile AM, Anderson JM, Fiala KA, Stevenson JH, Casa DJ, Maresh CM. Creatine supplementation and anterior compartment pressure during exercise in the heat in dehydrated men. J Athl Train. 2006 Jan-Mar;41(1):30-5. Mihic S, MacDonald JR, McKenzie S, Tarnopolsky MA. Acute creatine loading increases fat-free mass, but does not affect blood pressure, plasma creatinine, or CK activity in men and women. Med Sci Sports Exerc. 2000 Feb;32(2):291-6. Pereira RT, Dörr FA, Pinto E2, Solis MY, Artioli GG, Fernandes AL, Murai IH, Dantas WS, Seguro AC, Santinho MA, Roschel H, Carpentier A, Poortmans JR, Gualano B. Can creatine supplementation form carcinogenic heterocyclic amines in humans? J Physiol. 2015 Sep 1;593(17):3959-71. Taner B, Aysim O, Abdulkadir U. The effects of the recommended dose of creatine monohydrate on kidney function. NDT Plus. 2011 Feb;4(1):23-4. Thorsteinsdottir B1, Grande JP, Garovic VD. Acute renal failure in a young weight lifter taking multiple food supplements, including creatine monohydrate. J Ren Nutr. 2006 Oct;16(4):341-5. Volek JS, Duncan ND, Mazzetti SA, Putukian M, Gómez AL, Kraemer WJ. No effect of heavy resistance training and creatine supplementation on blood lipids. Int J Sport Nutr Exerc Metab. 2000 Jun;10(2):144-56. Watson G, Casa DJ, Fiala KA, Hile A, Roti MW, Healey JC, Armstrong LE, Maresh CM. Creatine use and exercise heat tolerance in dehydrated men. J Athl Train. 2006 Jan-Mar;41(1):18-29. Wright GA1, Grandjean PW, Pascoe DD. The effects of creatine loading on thermoregulation and intermittent sprint exercise performance in a hot humid environment. J Strength Cond Res. 2007 Aug;21(3):655-60.